Our Infant room is a “shoe free” zone and has been specially designed to create a comfortable and secure environment for each baby. From the tranquil and relaxing décor to the carefully selected furniture, our intention is to mimic all the comforts of home to keep your baby at ease. The play area is filled with stimulating toys that encourage development at an individual pace. Our teachers sing songs and read stories to foster language acquisition, play games and teach finger-plays to develop motor skills. Most of all, our teachers are dedicated to instilling trust and providing comfort by cuddling and talking to the babies. Parents work closely with the teachers to plan their baby’s schedule and ensure consistency between our center and home. Caregivers will provide daily notes to inform you of your child’s day. They are committed to working diligently to make our love and care an extension of yours. Children are encouraged to engage in activities that promote gross and fine motor development, along with social/emotional, cognitive and language development. As children develop and reach his/her toddler years between the ages of 12 and 24 months, incredible changes occur. They are beginning to walk, talk, and recollect. 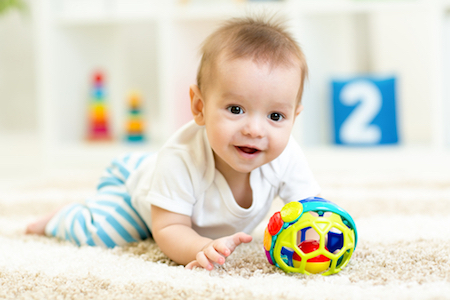 In order to help children reach all developmental milestones, we have established an advancing curriculum that focuses on each child’s physical growth, and social, cognitive, language, and sensory development. We know that children learn best in a safe and organized environment. That is why the Mighty Seeds program is designed around activity-based Learning Centers that encourage this development through fine motor play, gross motor play, language, creative arts and exploration. While children receive the nurturing care they need, they are introduced to different activities such as puzzles, action/reaction games, dramatic play toys to stimulate imagination, music, puppets, books, art materials, sand and sensory materials. The class curriculum and schedule has been developed around the concept of sharing learning experiences that stimulate and challenge your child each and every day. We know that children learn best through experiences, therefore, we make sure that each day is filled with fun, new activities that excite and challenge toddlers, giving them the comfort and confidence to speak those first few important words and build loving relationships for many years to come! 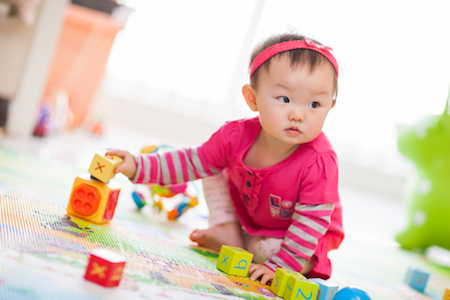 The toddlers in our Silly Sprouts program learn through play in a bright, cheerful environment. The program focuses on targeting various skills including those related to self-help, language, cognitive, and physical development. 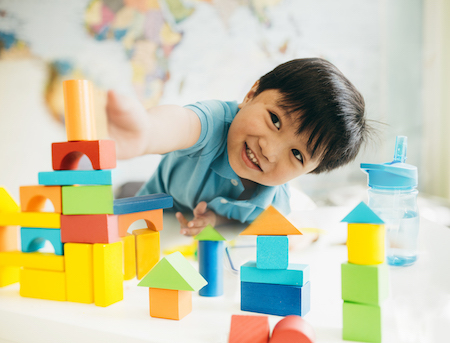 Here, there are endless opportunities for exploration and discovery in learning centers such as the art, dramatic play, blocks, literacy, science, manipulatives, and the sand & water center. Toddlers are always learning by hearing and watching what goes on around them, therefore exposing them to well-mannered activities will help them learn to imitate these behaviors later on. Teachers encourage children to use polite words and actions to help develop social and table etiquette. 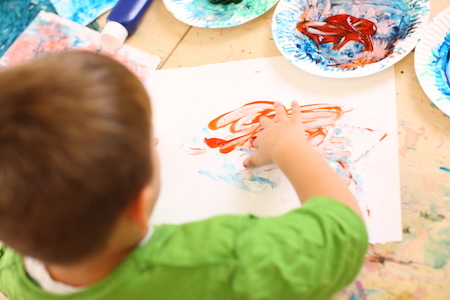 Preschoolers love to explore through hands-on activities. 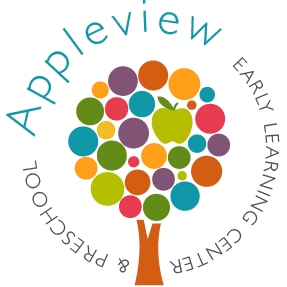 At Appleview, learning becomes meaningful to our Bloomin’ Buds when engaging experiences are based around their interests and prior knowledge. When children are curious they learn most. Our curriculum uses your child’s natural curiosity and desire to explore the world around him/her. 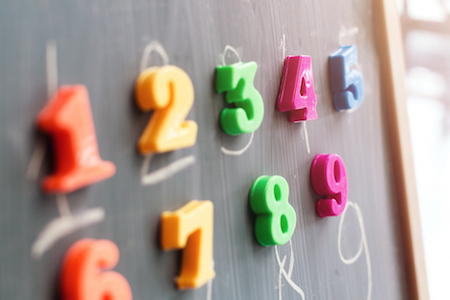 In addition to giving your child the necessary skills for kindergarten and beyond, our program develops critical thinking and stimulates your child’s creativity. Our Shiny Apples program is specifically designed to meet the learning needs of 4- and 5-year-old children. 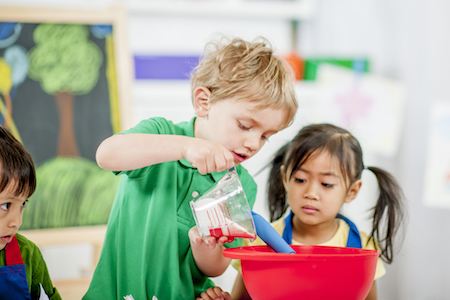 Especially in this last year, the goal is to introduce activities and experiences that will ensure your child will make a successful transition to kindergarten and beyond. Our curriculum focuses on literacy, writing, math, science, social studies and social development. We are dedicated to making sure every child leaves our school with the knowledge and confidence he/she needs to succeed at an elementary level.